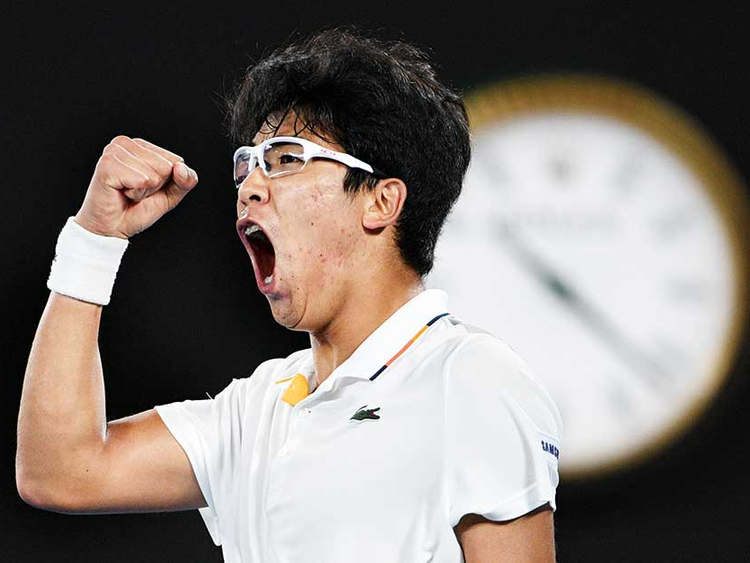 Abu Dhabi: Hyeon Chung, having finished the 2018 season as the highest ATP singles ranking player in South Korean tennis history by breaking into the top 25 despite injuries, believes he has enhanced his reputation and is ready for a “stronger” 2019. Chung will begin the campaign by taking part in the invitational Mubadala World Tennis Championship. The 22-year-old had started the 2018 season in Melbourne and stunned Serbian ace Novak Djokovic en route to his first Grand Slam semi-final where he was forced to retire against Roger Federer due to severe left foot blisters. Despite being sidelined with injuries for few weeks, Chung came back strongly to make it to the quarter-finals of the both Indian Wells and Miami. However, again a lower leg injury saw him miss out on the entire clay and grass court seasons. He later figured in Munich, Madrid and Atlanta but his performance had clearly taken a dip. Chung’s pre-season preparation is all about fitness so that he can last the entire season. “As it can be natural for a player to get injured while practice or playing tennis,” he said, “I do not worry about it. I try to keep my physical condition to the best level by discussing with my team all the time. No one wants to go too far and make hasty comeback. My clear objective is to finish the season without an injury. Chung feels the Mubadala World Tennis Championships will help him gauge where he stands at the start of the season.